The unassuming aloe vera, a hardy desert herb that easily grows indoors, is actually one of the world's most beneficial plants. It's quite amazing that such a common plant has dozens of natural medicinal uses, yet flies under the radar and never quite gets the attention it deserves. Most people literally only know about the topical applications of aloe vera gel, which they think is good for sunburns. In fact, aloe vera is good for both internal and external use. The hardest thing to deal with when it comes to aloe vera gel is that there is no reliable way to get it, but to grow it yourself. Typically, the aloe vera products you purchase at retail stores are weak, and some contain very little of the aloe vera gel itself. Many are mixed with thickeners, or are heated to pasteurize, destroying the plant's healing effects. Thankfully, authentic aloe vera gel powder is now available from some wellness shops online. This powder is the next best thing to actual aloe vera, in a convenient form you can use for your own smoothies. Think about this for a second. The aloe is a hardy plant, but a small scrape of its thin inner leaf would expose the gel within, with all its nutritious water-rich goodness – a feast for bacteria to enjoy. The reason this does not happen in the wild is an ingenious adaptation designed by Mother Nature. Aloe vera gel is antibacterial, antiviral and anti-fungal. This natural ointment replaces all sorts of chemical first-aid and skin care products – and you can grow it on your desk! You can get rid of all those lotions, bandages and antibacterial sprays, and replace them all with aloe vera. You can apply the gel directly to wounds, because aloe vera contracts when it dries, thus pulling the wound shut. The gel also serves as nourishment for the wound. Aloe vera is perfect for wounded pets, because they can't be poisoned by the synthetic chemicals in first aid products when they lick the wounds. This one actually gets a bit gnarly. In a study, researchers bled out lab rats, removing up to 3.15ml of blood per 100g of rat body weight, then tried to resuscitate them by injecting a polymer made from aloe vera. The study showed phenomenal improvements in the resuscitation, blood pressure and survival in the group receiving the aloe vera polymer. In summary, the rats who took the aloe vera actually had their remaining blood work better. Using aloe vera in humans, who, believe it or not, actually live on a diet worse than lab rats, would be nothing short of astonishing. 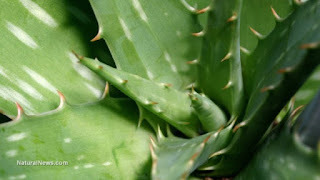 Now, drug companies want to isolate the specific chemical in aloe vera and turn it into a patented drug, but you can just eat aloe vera gel and get all the benefits, plus the synergy of all the other components of the plant. However, a few nibbles won't cut it. You have to make it part of your diet, and eat it like food. The incidence of kidney disease, or nephropathy, is reduced by aloe vera ingestion, as is leukemia. 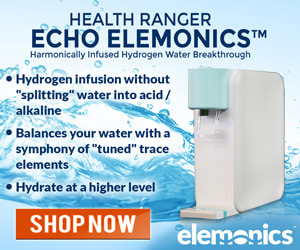 This is interesting since many children nowadays eat hot dogs laced with sodium nitrite, a known cancer-causing agent that causes leukemia and brain tumors, among other things. The three above mentioned facts are just some of the many astonishing benefits you could derive from aloe vera. To start your journey to wellness, you could try incorporating this simple aloe vera recipe into your diet. Just make sure to steer clear of GM ingredients and artificial sweeteners, and you're definitely good to go!